Firewire is not as commonly used as other types of audio interface connections, so it just sounds like an intimidating name, doesn’t it? Regardless, Firewire connectivity backs up that intimidation with super fast bandwidth, faster than USB interfaces (below USB 3.0). This means it sends data at a quicker rate, cutting back the latency and delivering better performance, consistency, and stability in your audio. So if you’re looking to record a bunch of tracks at once without losing audio quality, a Firewire audio interface should be a part of your recording studio setup. Let’s dive into the details of why. A lot of bang for the buck is always a plus. Great build quality and rack mount compatible chassis. Good audio resolution combined with low latency means quality. Packs 20 inputs and 20 outputs which is impressive. It's a bit confusing to figure out at first. Whether you are just starting out with audio interfaces or have substantial experience with these devices, chances are that you have heard of Focusrite. Their most popular products are by far the entry level lineup of audio interfaces. This has lead many to consider Focusrite to be an entry level brand. Focusrite Saffire Pro 40 tells a very different story. This is a rack mounted interface with 20 inputs and 20 outputs. You are looking at high resolution audio being pushed through both Firewire and Thunederbolt. Considering the amount of features this bad boy offers, it is a great choice for aspiring professionals. Especially if you’re on a strict budget. Focusrite delivers performance and efficiency on a budget once again. Simple setup that combines efficiency with simplicity. Features a great set of inputs and outputs. 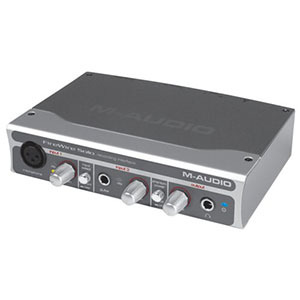 Dedicated mic channels with good mic preamps. Great audio quality with low overall latency. All inputs and outputs are located in the back. 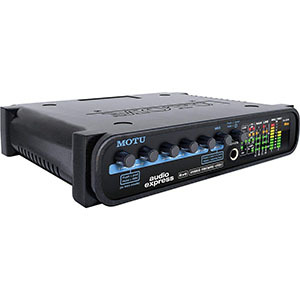 MOTU Audio Express is a compact unit that offers quite a lot in terms of performance and features. Compared to most other models on the market, you could say that it is quite balanced. All things considered, it’s a great choice for those who want something functional yet simple, capable yet subtle. Especially if that someone is using a Mac. The interface offers two dedicated mic channels which are wired to a very good set of mic preamps. These channels are dual use in a sense that you can push instruments through them. The back panel, where all of the I/O is, reveals additional line in and line outs as well as other ports. Overall, it’s a good package. A very straightforward design that. Packed full with great features and hardware solutions. Comes with ProTools and other software included. Great sound quality with plenty of detail. It's pretty much optimized for one software setup. 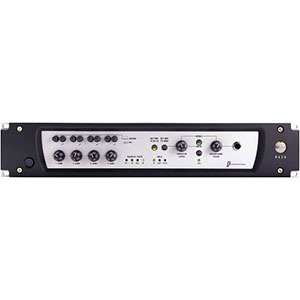 Although it is definitely not as widely known as some other brands, Digidesign is easily among the top tier manufacturers of audio interfaces. Digidesign Digi 002 is a very interesting model that packs a whole lot of punch for its weight class. It may not look like much, but this interface is full of surprises and some pretty awesome features. For starters the I/O panel is just impressive. There are numerous XLR, TRS and MIDI options at your disposal. One thing worth mentioning is that this device was mean to be used with Pro Tools which come with it stock. If you need a whole lot of inputs and outputs, a good Firewire bandwidth and low latency, this works. Great set of preamps which sound awesome. High quality, high resolution sound. Comes packed with awesome features. Not an easiest interface to use. Considering their success with both USB and Thunderbolt interfaces, PreSonus has decided to built a proper Firewire solution as well. 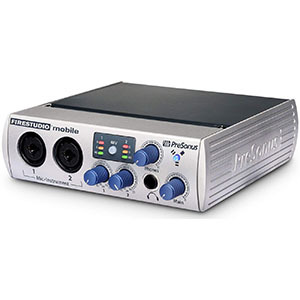 It goes under the name of PreSonus FireStudio Mobile 10×6 and it has quite a lot to offer. For starters, it is anything but a basic interface. It brings the all familiar design but with a wider scope of options. The first thing that we have to mention are the 10 inputs and 6 outputs. For a package of this size, an I/O cluster of that type is fairly impressive. The XMAX Class A mic preamps are a thing of beauty for sure. These will get you great definition, clarity and overall sonic aesthetic if you’re into serious vocals. One of the best looking Firewire interfaces on the market. Great set of award winning preamps makes a difference. Packed with awesome features and options. There are some compatibility issues with newer OS X. Building a good Firewire interface is something M-Audio has always known how to do. So much so that they went above and beyond while doing so. M-Audio ProFire 610 is an awesome looking piece of gear that brings a lot of performance in a format that is shared with any USB interface. However, it’s a Firewire unit which is different. The front panel reveals two main channels with a hybrid XLR/TRS input on each. You can use these for both microphone work as well as instruments. The preamps inside belong M-Audio’s award winning lineup, and feature their Octane technology. Overall with 6 inputs and 10 outputs, this thing is pretty much a beast. Plus, the price is just right. One of the more familiar and user friendly designs. A set of really awesome microphone preamps. Great hardware which allows you to really express yourself. Awesome sound with plenty of detail. Not much to look at, although that's hardly significant. Focusrite’s Firewire series of audio interfaces includes a number of awesome models, ranging from pro level gear to more enthusiast oriented electronics. Focusrite Saffire Pro 14 belongs to the latter group. It’s a fairly affordable piece of gear which is a true force multiplier in a home studio. It gives you plenty of width to express yourself as a producer. The interface itself looks pretty industrial. It is a polar opposite of Focusrite’s more popular Scarlett series. With that said, it packs a set of awesome mic preamps, 8 inputs, 6 outputs and a Saffire MixControl low latency DSP mixer/router. It is also very simple to use, which really puts it ahead of the competition. Overall, it’s a winner. A simple setup that delivers a good performance. Great design that is super easy to use. Plenty of feature for such a humble interface. Packs a whole lot of heat for the price. Not the most solid driver support. It is no secret that Firewire alone increases the overall price of audio interfaces. However, that doesn’t mean that you can’t find yourself an affordable interface which uses this protocol. On the contrary, there are quite a few of them out there. The one we have chosen for you to day is the M-Audio Firewire Solo US35030 and it’s awesome. One of the obvious limitations of this particular system is the fact that it is a solo unit. It actually comes with only one microphone preamp. As a matter of fact, the mic preamp and instrument line have their own dedicated channels, which many find to be a great setup if you don’t plan on recording multiple vocals at once. Firewire audio interfaces usually offer more than USB interfaces, but that means they’re a bit pricier. For a decent interface, you will need something in the range of $300-$500. But this is cheaper than a lot of Thunderbolt interfaces and will offer more features than USB interfaces. Many Firewire interfaces come with pretty darn good software, too. A couple examples include the PreSonus FireStudio Mobile, which comes with its own PreSonus Studio One Artist DAW software, over 6 GB of virtual instruments, plug-ins, loops, and samples. Additionally, the Focusrite Saffire Pro 40 comes with Midnight Plug-in Suite. The advantage of using Firewire, as I mentioned above, is the speed at which these devices transfer data. 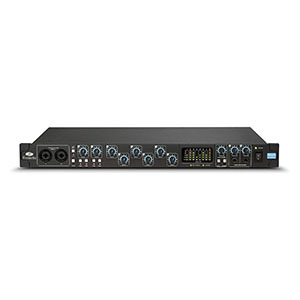 This can give you confidence in its reliability when you’re recording with several channels simultaneously. With the entry of USB 3.1, less computers are being made with Firewire ports, but if your computer has one, it’s one of your best options for an interface. Also, if your computer doesn’t have a Firwire port, you can buy adapters (i.e. Firewire to USB or Firewire to Thunderbolt). Firewire is also different, at least from USB, in that it streams data rather than packets data, meaning you have a more stable sync and overall better performance. Plus, you can expand your recording setup with other Firewire devices (USB can’t do that), giving you more inputs and outputs. This is one of the most underrated features of Firewire devices. Imagine if you’re recording a full band, including a full drumset. You’ll need as many inputs as possible, and with multiple Firewire interfaces, you won’t need to worry about not having enough. Firewire devices typically have plenty of inputs to begin with, but having the option to add more is fantastic. So when you’re in the market for a new Firewire audio interface, keep these things in mind before you buy: the types of inputs and outputs you’re using (XLR, quarter-inch, MIDI, S/PDIF or ADAT) and how many you want to use. Fortunately, the best Firewire interfaces out there provide most, if not all, of those types of inputs and plenty of them. And as I mentioned in the last section, you can always add another Firewire device to give yourself even more inputs and outputs. So if you’re looking for a fast, audio interface for a fair price, look no further than a Firewire device. It’s faster than USB 2.0 interfaces, cheaper than Thunderbolt interfaces, and often transmits data better than both. If you have a decent sized budget (or maybe just some wiggle room in your DIY budget), Firewire is a safe and sure buy.